"Thanks to Joe and all of the attendees – I have learned a lot from all of you. I have a simple question – in the daily scrum meeting – if I understood it correctly, team members are expected to answer the 3 questions to the team – and not the scrum master. Yes? How did you get them to do it? 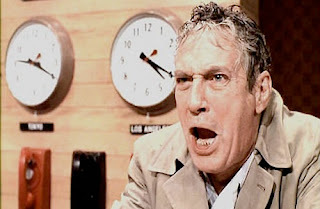 What I am finding is that the members are reporting to the scrum master." Yes, the 3 questions are answered by each 'pig' (including the Product Owner). To the whole team, not to the SM. (We don't need to get too concerned about exactly where the eyes look, as long as the attitude is right.) The SM is the master of ceremonies of the meeting...trying to keep it good, to the point, quick, useful. Explain the purpose: To give the team members enough info each day to make mid-course corrections to 'land' all the promised stories by the end of the sprint. Everyone can help make mid-course corrections. Of one sort or another. To stop the behavior you mention, sometimes the SM has to remind them to report to the team. Remind them of the purpose. And sometimes avert eye contact. And sometimes step 'outside' the semi-circle of pigs. If the SM is the former Project Manager, this is a hard switch for everyone, since the habit of 'reporting' to the PM may be well engrained. In my last post, I talked about responsibility. Or mentioned it briefly. So, if we are free, we have to also acknowledge our duty, our responsibility. This is an ancient concept in all cultures. Freedom to be completely irresponsible is not a thing any civilized person wants. At the personal level, responsibility means first we must take care of ourselves, without violating the freedom of others. And take care of our immediate families and friends. But, and perhaps in this season and in my culture influenced by Christ, we may say responsibility joyfully also includes: It is more blessed to give than to receive. More broadly to our, as it was quaintly phrased, to give to our neighbors. To those we know but have no real connection to. In business this may seem a paradox. And for me for most of my life this seemed hard: That I should give more than I get. But it does not say that. To me it says: by focusing on the giving, you actually receive more. Not unlike what Peter Drucker said (that the purpose of the firm was to serve the customers). Receive more of what? Ah, yes, of the more valuable things. Let me leave it at that. No doubt in some way you have experienced this. Business is a wonderful transaction, where each side gives less than he gets. One side pays less than the object is worth to them. And the other side gives up a (to them) less valuable object (or service) for the money they need more. It is wonderful magic. The magic of freedom, and free enterprise. So, what am I mad about? I look about me and see, so plainly, so much imperfection. So much want. So much need. So many tears. So many who deny such large parts of their full humanity. As though life or the world is so dreadful, they must hole themselves up inside a 'resource' that is barely more than a thinking machine that drinks coffee. They willingly give up such large parts of their full humanity. I too have done this. We are so much more than we have yet become. So, if you are a little bit free, if you have a little bit more of material wealth or perhaps that greater wealth, confidence that in life (as in death) all will be well if we stride confidently toward our dreams, then you have the responsibility to give that to others. Make them more free. Make them more confident that they can make of their own lives a better life. And themselves do that too, for others. Not abstractly, but one moist, shaking, confused, imperfect, animalistic, feeling, breath-inspiring, mistake-making, incompletely understanding child of god at a time. Make ready one person waiting to shine as the paragon of animals. This is where the real value is. Now, I am not against money and business. Far far from that. I believe in money, as one of the more useful illusions of man. But money and business were made to serve man, not man to serve them. I am speaking now of the music that plays beneath all the MBA stuff you may have learned. I do not sound this call to ask you to make an unreasonable sacrifice, which would most likely be only an ego-trip. No, within the real humility of your real self and station, neither too high nor too low, you can do more easily. If you put yourself in the flow of the truth and the way. Easily. If you stand upon the truth, and act in concert with your friends and colleagues, the world cannot resist you. Fearsome as it may seem sometimes, it cannot resist you. We have so many examples, do you need to hear them again? I will mention, as one overwhelming to me, the falling of the Iron Curtain in 1989. So, this is our responsibility. To act somewhat more greatly than we have till this day. And yet to recognize that even our enemies are our friends. Fight them if we must, but fight them as a way of saying they are worthy of our fight. They are humans who deserve the help of correction. The first shall be last. And the greatest wash the very feet of their friends. These seem paradoxes, but the wise know that strongest action comes from quietness and balance. You can do it. Perhaps you do not like, or do not feel called to be responsible to, the purpose I have tried to articulate. No mind. Articulate for yourself and others a yet better purpose. 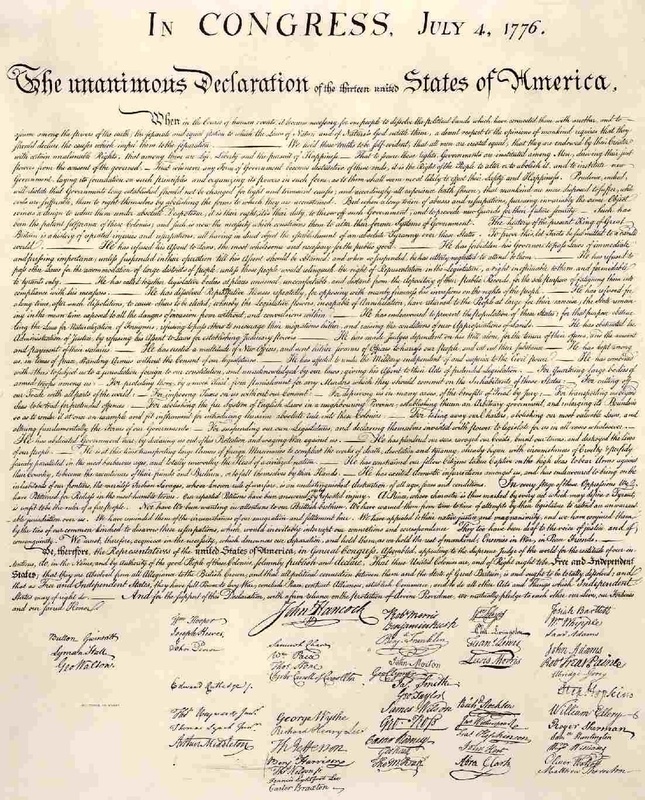 We have written here about freedom before. But, as Rousseau said, man is born free and everywhere is in chains. So, it is a topic that bears repeated discussion. In business and in life, too many people want to think that they own other people. Other 'resources' or whatever they may call these people. These owners might be managers, generals, admirals, spouses, older brothers. The more correct attitude should be as a manager or as a person: 'Thank you for graciously allowing me to work (or live) with you." Yes, I know it is hard to accept. But there is no amount of anything that we 'gave' them that makes them our slave. Not an employee, not a spouse, not a friend, not a child, not anyone. They always have the choice to work (or live) with us or not. We never, in any way, own or command them. Least of all should we contravene their freedom for their own benefit -- for our view of the 'benefit' for these employees (except perhaps for children who are 17 or less). We have to respect that God, in his infinite wisdom, has given them their freedom (and given us our freedom). And allowed them to make mistakes (and us to make our mistakes). And we have no right to control what God has made free. Now, this does not mean we can not give our friends advice or our employees (or others) advice. But, real soon, if they don't take the advice, we have to let them be free. Leave them alone, as we say. Meaning: They will do what they want. And they won't do what they do not want to do (what we wish to 'force' them to do). It may seem like a traffic wreck to us, sometimes, but we have to let them do it. Often we (who think we are so smart) are wrong. It does not become a traffic wreck at all. Sometimes we are right, that it does become a traffic wreck (of some proportion). Usually even that actually ends up good -- they learn from that. Far better learning than what would have come from our so-called brilliant advice. So, if your team trusts you, from your actions in removing their impediments perhaps, trusts that you actually care about the team, then, surprisingly, they may actually listen to your advice more. But you have to accept, as a manager, that it MUST be only advice, and not a command. Sorry! It seems so much harder than just commanding. In fact, it is so much better. (So, the 'sorry' is retracted.) Even for you as a manager. 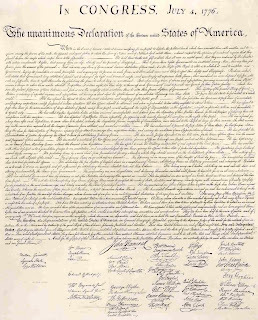 Many are the men who bob their heads, saying by that action that they believe in freedom, perhaps even that their lives are dedicated to freedom. And then in the next hour they try to abridge the freedom of another. 'As you from sins would pardoned be, let your indulgence set me free.' I too of course have made this error; and so I can forgive. PS. Not only is freedom still to be learned by those who wish to command. Equally we who continue to be commanded must learn that we really are free, and we cannot put up with abridgments of our freedom. This is the path that humanity has been on for only a millennium or perhaps two, so we still have far to go. PSS. As soon as we talk about freedom, we must immediately speak of responsibility. It seems paradoxical, but it is not. On that topic next post. 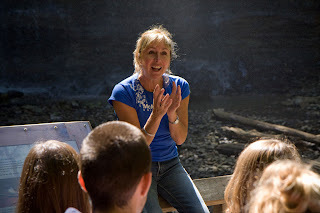 For those who will teach and for some puzzled course attendees, I want to do a series of posts about how I teach. First, the goal is not to teach. Or, more clearly, the goal is neither teaching nor learning, but results (ie, more than just action, but actual results from action). Results for you, for your team, for your customers. That is the only goal that counts. If you think I 'fail' as a teacher, and yet you get results...to me I have succeeded. Such 'failures' I will take any day. OK, so I conduct the class in such a way as I think best will lead to the most results for the most people. Right away you see certain 'philosophical' or fundamental issues have been addressed with certain assumptions. Assumptions that we have developed over many years of experience, but assumptions nonetheless, as we are far far from omniscient. For example, we don't assume that everyone is the same. (In fact, closer to the opposite.) Nonetheless, at any moment, in overly simple terms, only one style of teaching is going on at that moment. Second, I don't assume that the brain is the most important part of the human being. The soul, the spirit, the heart, the guts, the will, and many other parts are also important. There is increasing evidence that they are more important. At least in terms of real results. Third, we have a theory, based partly on Piaget and others, that the mind resists changes to its fundamental constructs of the universe, of how 'things work'. And we have a theory that lean-agile-scrum is a fundamental paradigm shift in many of these constructs. So we are subversive. There, we have admitted it openly. We are trying to sneak up on your brain. But in a good way. Not to rob you, but to give you a gift more quickly. Fourth, while lean-agile and scrum particularly are very simple (like all great things), at the same time, they are very complex. We hold the perhaps arrogant view that, at least vis-a-vis lean-agile-scrum, we are smarter than you. (And that's why we are leading the course, and not you.) So, while we get you active and talking, there are, sometimes rather indirectly, some things we are trying to tell you. We might wait for you to discover them on your own, and we might wait for monkeys at a typewriter to eventually write Hamlet. But, frankly, while we have some exercises where you discover things for yourself, for everything we are not that patient. Given that we only have 2 days for the basic course. So, we "tell you". (Some might call it 'lecture', although you might not. In any case, a different kind of lecture than most are used to.) Yes, yes, yes; we know all the problems with that. But we actually think that some people, if we add jokes and other tricks, actually stay awake, actually listen, and actually learn this way. As Yogi Berra said, if people don't want to come out to the ballpark, nobody's going to stop them. Meaning: If they don't want to learn, fugetaboutit! Also, we frankly are not clever enough to come up with enough exercises that can be done quickly. And, having felt 'played with' (in a bad way) by some of these kinds of games ourselves, we are sympathetic with those who are naturally skeptical of games. So, we still do some games and exercises, but maybe not as many as others. Instead, we use other tricks. It perhaps bears saying at this point.... What we teach are not ideas that we invented. We feel we have been blessed to share the wisdom from men and women on whose shoulders (as the metaphor goes) we stand. It is a great wisdom, from the gods one might say, and we are humble about our real ability to pass it along as accurately as it deserves. And yet, despite the jokes and playfulness, which in some eyes might imply lack of caring, we value this wisdom very highly. And we think reaching the inner secrets of this wisdom is difficult. Realizing in a full way the most benefits is very very difficult. And, paradoxically, as with all great things, it is in fun and with great ease that the most benefits are realized. Trying too hard does not help. As any baseball player knows, we must simply swing the bat, and just let happen what may. So, the main point here is a certain kind of humility. And your comments and reflections on this are solicited. Note: The picture is of Carolyn Eyles, an award-winning teacher in Canada. Google her. This is a short post to summarize our recommendations for Release Planning. First, R.P. is that initial part of Scrum, where we plan the Product Roadmap and develop the first Release Plan. It is pretty important. We do it before we start doing Sprints. Some people believe one myth about Agile (and maybe others). This first myth says: "we always leap in without looking or thinking." This is a myth, ie, incorrect. We must look and we must think first. But, how much?? Within Agile there is always this tension, between thinking just enough and YAGNI (you ain't gonna need it). Each team must resolve this tension its own way. Experience has shown that we learn most from real experience. 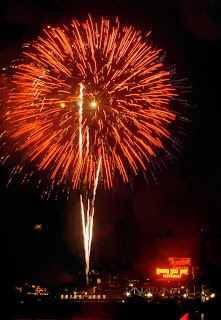 So, suffice to say we do not, in agile, have a 6 month planning 'phase' (for any project that I have ever been on... and I accept the possibility that there just might be a fundamentally different kind of project than I have ever experienced before). So, should it be done in one day? In 3 days? In 3 weeks elapsed time? The simple framework of Scrum does not answer this question. Use common sense (which is quite uncommon). Still, the Product Owner and the ScrumMaster must set a high-level time box and day-by-day time boxes for the Release Planning. And try to get the participants to stay within them. It is hard. But the law of diminishing returns tells us not to waste that 'extra' time. 5. Discuss risks, dependencies and other things. 7. Decide on (a) scope and date (together), and (b) cost. We generally assume that the team is a constant cost per Sprint, so once you know the number of Sprints, you can easily calculate the cost. Over-simplified. Left out some key things (well, not left out, but maybe not made fully transparent to some readers; assumed by me). Having completed the R.P. you have achieved two main benefits. 1. You have established an "early warning system", which, when improved, can give you some advanced notice if your effort is getting into trouble. 2. You have all the "pigs" (and others) much much more on the same page about what the effort is really about. At a good medium level of detail. This is very very valuable. Oh, yes, and we have the initial scope and date. The quality of those is technically termed 'crappy', so I minimize them as benefits. But soon, when revised and improved, they will become decent guesses. Eventually (maybe up-front), this release plan must be developed further into a Product Roadmap (I don't really care what name you call it). Typically this is a rolling 12-month plan. After the current release, this is typically at a pretty high level (small to medium epics). Most businesses need about a 12 month plan. Some less, some more. To close on a semi-controversial note: NO Sprint Zero! We did some release planning, now let's do a real Sprint (with a demo of working software at the end)! 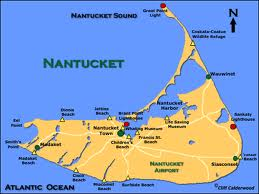 In summers past, I have gone whale-fishing from Nantucket island. Well, not I, although I did go to beautiful Nantucket, as Ishmael did in that novel. But they never called me Ishmael. But I have set out from Nantucket, as they did of former days, intent to catch me a whale. Albeit mine was a metaphorical whale. So, you see why I choose Nantucket as the island. I think maybe John Donne, in his very famous Meditation XVII (a much recommended long tweet), maybe was in part thinking of the small island of England, Scotland and Wales. And thinking of how we are all connected, one to another. There is something very mystical, magical and special about any team that achieves success. They are indeed connected. And, no doubt it is or will be painful at times, but mostly such a wonderful feeling. And the great paradox, by losing ourselves we become ourselves, becomes true. If your collection of individuals would become a great team, they must not just gush with emotions, but act in their beating heart, and strike it with their muscles. Together. The paradox is cut through not in meditation, but in fierce sword-like sharpness in the real world. A game for the courageous. This team part of the game we try to ignore, quite often. The head bobs at "we are a team" but the body does not follow through, as we might say. Each of us has our issues about this: our old patterns, our egos, our introversion, etc, etc. But if we would have any success or satisfaction in life, 'deal' most of us must. And the simple framework of Scrum sets in motion a basic interaction pattern. Which we can build on. I was just at the Agile Tour at Research Triangle Park in North Carolina. Very good event (kudos to Catherine Louis and the other organizers!!). When push comes to shove, what should give way: Agile principles or our local organization? In my view, almost always the problem is 'us' and not the agile values, principles and practices. And almost always, we make the agile stuff 'give right of way' to what we call 'reality'. But it is not 'reality' as in the law of gravity, but only reality in that these are the stupid ways our organization is doing things today. Some people complain that the principle of sustainable pace means that managers can whip us to stay at 30 story points per sprint (after the team itself volunteered to go 30), and that it does not allow us to fix the technical debt or do the broader range work that must (at least eventually) be done. * sustainable pace is very important in many ways. The main way I like to talk about it is that it is no longer about 'hard work', it is about 'creativity' and 'innovation' and 'inventive' solutions to difficult technical problems. Our brains have to be fresh to be creative as a team. * sustainable pace (as measured via velocity) quickly becomes less valuable unless we are doing virtually everything possible never to allow technical debt to grow. Let's be professional. * sustainable pace does not mean that the team 'must' maintain the same velocity every sprint. (Yes, Virginia, stuff does happen, for example.) AND, the team should always be challenging itself to remove impediments so that more 'work' can be accomplished in the same amount of time. In other words, in general and on average, 'velocity' should be upwardly sloping. But NOT by working harder. * Bad news does not get better with age. So, sustainable pace must be immediately linked to a strong and improving 'definition of done' for normal stories in a sprint. * By sustainable we must mean we are doing everything we professionally can to assure we are keeping each sprint up with ALL the different types of work needed to keep the system fully 'done'. This includes fixing all bugs, doing all the refactoring, building all the truly useful documentation, visioning of future sprints, release plan refactoring, etc, etc. * Just because we will always be imperfect does not mean we should give up on agile or agile principles or practices. PS. I am not saying the Agile Manifesto and the Agile Principles are perfect. But maybe I am saying that our real worlds are messier than those ideas. Or so I see. Some people take the view that they will be lost in a team. And, to be fair, this can happen. There are bosses and there are teammates who want you to conform, to submit, to lose your identity. To a meaningful degree. But in a real and good team, the opposite occurs. We each become able to become more of who we are. We each can learn faster. We can be more honest. We can make mistakes and admit to them. We can learn faster from these mistakes. We can enjoy our colleagues, whom we come to know as more complete people. Yes, there can be dysfunctions in a team. Some teams can learn their way from those dysfunctions. Some cannot. So, we are not talking about dysfunctional teams mainly. We are talking about good to great teams. Perhaps most importantly, I get to contribute to the team making a great product that real customers will like (more). This is very satisfying. So, it is funny how life can be more satisfying when you give to others. You get more for yourself when you are thinking mainly of others. Now how are things for the so-called top performer? So, again, we cannot promise nirvana, but we think in good to great teams, even the top performer(s) can have a better life. Some of this seems paradoxical to those who have been in bad situations. My sympathy to you. But do not lose the faith that some day you will see, in a good team, that it is true. As I teach scrum and lean-agile classes, I often meet people who don't understand teams. Often this is true for some of the smartest, most capable people. I think there are many answers. One is that they have been taught the single-leader team discipline. (This is the phrase that Katzenbach and Smith use for it.) So they assume there is no real team discipline. Ie, they have not been taught it. So, what is the real team discipline? 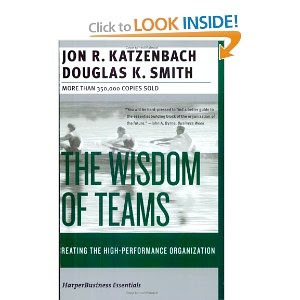 Many people have talked about it, but Katzenbach and Smith have done a good job of defining it in The Wisdom of Teams. Another, simpler way of talking about this is to say that the team is smarter than any individual. This is a little dangerous to say. Yes, teams can be stupider than a single individual, if they let themselves. But Katzenbach and Smith show a number of cases where the team, a real team, was smarter than one individual. Not really surprising to me, since we know the old saying, two heads are better than one. Why is this so true in our work? So a team is better able to keep up. If they are a real team. Well, ultimately the answer is because people are important. Or maybe it is better to say we respect the customer. And the firm's shareholders. Let's start from the beginning. A long time ago the Lean people discovered that any Work-In-Process waste (WIP) or inventory, is muda. No, they weren't being silly. All Lean firms still have some WIP and inventory, but they have been relentlessly reducing the ratio of WIP and inventory to sales for 50 years now. And now it is a very small fraction of what it used to be. And they are still not satisfied. It must be reduced more. In software development, our business is knowledge. In the form of working code. And here we mean not only the final knowledge (the working code), but also all the other tacit and explicit knowledge needed in the course of building the working product. My opinion, and I usually demonstrate this easily in each Scrum class, is that our knowledge decays exponentially faster than a car. And a car's value will only go down a bit at a time. But our knowledge can lose its value as much as 100% in one day. So, although no one told you, we in the software industry need to be relentlessly reducing our all our work-in-process and inventory. So, WIP is any work we have done that has not resulted in finished inventory. Finished inventory is fully finished software, that is all but deployed and in use by the 'customer'. Now, we don't mean you should be foolish. For example, there is a minimum marketable feature set concept that does apply. Although we think that the size of the MMFS is much smaller than we almost always want to believe. We must have a greater percentage reduction in WIP and inventory than the auto industry. We have lots of work to do to make that happen. Lots of impediments to remove. It was hard for the auto industry, and it will be hard for us. And now we have made the first step -- someone has told you that is absolutely key to your job. Now, you know what your job really is. To know and not to do, is not to know. Some of us have been doing lean-agile-scrum for awhile now. And we forget that others are just starting. The first answer is that you start from where you are. One thing this means is that one starts with the impediments one has today. And you use Scrum to help tell you "what is the biggest impediment today?" And there is always a biggest one today. And it is hard to predict what will be the biggest impediment tomorrow. So many different things can be slowing down the team. So many things can come up in an instant. Is it useful to work on a less-important impediment? Well, yes, but not nearly as useful as working on the top impediment. THIS IS IMPORTANT. We should always be working on the top impediment (presuming that it can be improved, or that 'they' will allow us to fix it). Well, some people want a work life that is more fun. Some want to get rid of a bad manager. (BTW, I think very very few managers are 'bad', although I do think lots of managers have been taught badly how to do their work.) Some want money. These are all good reasons. But I think the best reasons are phrased a bit differently: To make my life better, to make our team's life better, to make our customers' lives better. You will note how that starts from the center and moves outward. And it raises a fundamental question: what does it mean to make someone's life better? This is a difficult yet important question. I think it is bigger than software. And I think that important words, like freedom, love and self-responsibility, are in there. And working as a team and at the same time fulfilling oneself as a person. Perhaps we may say a connectedness that that makes us more individuals rather than less. (I am in eastern europe (Romania) as I write.) We do not join a collective to lose our individuality, but rather, seemingly paradoxically, to become yet more our own individual selves within the team. Within the dualisms we are used to thinking in, this sounds a paradox. But it is the truer organic reality. One team recently was going through this pain. One wondered how long it would take. One wondered "will they get to the other side?" Still, one has confidence that people learn from scraping their knees. Mary Lynn Manns is visiting Agile-Carolinas in Charlotte next week. 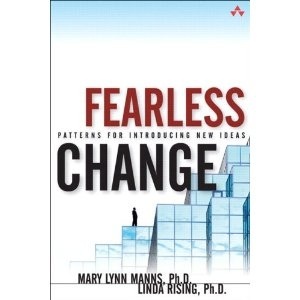 As many of you will know, Dr. Manns is the co-author of Fearless Change, along with Linda Rising. This is a great book about getting people to adopt a new idea (eg, lean-agile-scrum). So, I wanted to take this opportunity, in thanks, to praise the book and to write about one pattern in the book. In this case: "Fear Less". This pattern is first about how we fear the skeptic. And the first advice is, as other wise teachers have taught us, love your enemies. This is in part saying "accept that you are an imperfect human". Meaning, again in part, that while lean-agile-scrum may be very very good, my own interpretation of that might be less than perfect for a specific usage. And a good skeptic can keep bad things from happening. We must also understand that many people, quite normally, resist change unless they can clearly see that it will help them. It is also, I think, a recognition that each person is free. Our opposite is not required to agree that our new, brilliant idea is good for them. As we are, they too remain free. Their freedom is a very good thing. OK. So, what to do about it? The advice, in my words: "If you have lemons, make lemonade." In the books words: "Turn resistance to the new idea to your advantage." And then, maybe more specifically: "Ask for help from resisters." We can't go any faster Captain! For many Scrum teams, they reach the point of attacking all the obvious impediments. And they are fixed. And they say, in effect, "we can't make it go any faster Captain!" As that actor with the Scottish accent would say in the original Star Trek. Well, many things. I will name a few below. 1. Not so obvious impediments. What I often find is that lots and lots of not-so-obvious impediments still need to be fixed. Things that they overlooked. Or someone didn't see. Often they are the "elephant in the room" kind of impediment. One example has been a command&control ScrumMaster. And there are many others. Some people assume all impediments must be technical. Some think all are to do with Continuous Integration. Some think all are facilitation issues. Some think if we take care of expresso and baby-sitting we are done. Some think that disruptions by managers are the only impediments. Some think think that the initial setup of the infrastructure for the Team is the only impediment. But, the biggest impediment can be any of these, and more. Technical debt, for example. Or not building new technical debt. 2. Impediments that seem immovable. I am not in favor of attacking impediments that simply can't be changed. But, what I usually find is that teams assume that 3 or 5 impediments can't be fixed or improved, and they give up trying to work on them or even asking anyone else to work on them. And, usually a you need something to "juice" the team to get them to even think of working on these kinds of impediments. Often, the impediments are actually easy to move, eg, after talking to the right manager. Not always, but often. There is this deep human desire to be perfect, to be done getting better. To feel we are the best, and can't possibly improve. But the wise and even 6 year old know, no one is perfect. So, we must ask the Team to always say, even though we won the Super Bowl last Sprint, we have to get better….so, what is the biggest impediment now? The relentless pursuit of perfection. But always a perfection that eludes us. The Lean people say that when we approach our earlier definition of perfection, we become wise enough to define a new, tougher definition of perfection. Which we can then pursue. There are many more issues around this, but these three are a start. Building complex innovative products is, of course, hard. So, in that context, what is the purpose of Release Planning in Scrum/Agile? We will not provide a complete explanation here, but we will give a few key ideas. 1. A consensus view of the 'same' elephant. We want all the team members to see the whole product and to start to see the same whole product. We think this is typically the most valuable thing. 2. Think first, but not think too much. This is a neat trick -- getting some people to think enough before they start, and also helping others not get stuck in 'analysis paralysis'. I find that many people want to know 'perfectly' a certain set of information before they start. Meaning: They want to wait and study too long. I find this seeking for 'perfection' is mis-guided. It typically does not include enough consideration of what it costs us not to know 'X' before we start. (If the cost could be real high, then slowing down to learn 'X' makes more sense). I think each team should have a good fight about how much to 'study' before starting to Sprint. 3. Establishing a project plan, with a date estimate for the first release and a cost estimate. In most organizations, something like this is usually needed. My experience is that, aside from the discussions about risks and impediments, this is usually the least valuable output. But it establishes a starting point for improvement. So, for several reasons, it is necessary. 4. Establishing an Early Warning System. I was just working with a large client who has a big, multi-team and multi-year effort. Some on the team think they will get done 'early'. And some think they will be 'late' as usual (this is said from my own personal experience that most waterfall projects are late...and this organization is just transitioning from waterfall). In this case particularly, the group (everyone in the group) needs an early warning system that can tell them whether they are likely to hit the date or not. (A date and a high-level scope has been defined, but the detailed requirements are undefined.) For example, the earlier the group knows there is a problem, the earlier it can take counter-measures to address the problem. So, the Release Planning sets up the ideas (velocity, story points to be completed, Business Value of the features, etc) that go into the Release Plan. And the Release Plan, with its implied 'ideal velocity', can become the Early Warning System. Since, in this case, the Chief Product Owner is leading this effort, this gives him great incentive to get the whole group to do professional Release Planning now. So that, for example, refactoring of the Release Plan will take less effort later. So, the CPO needs to explain and explain again why the whole group wants a good Release Plan sooner rather than later. (Only if they want to do it, will they do it well.) Not an easy job. Do-able, but not easy. Especially for beginning Product Owners. * Team having more fun! And why do we not see more improvement if there is indeed so much improvement there to be had? How much improvement? Easily 5x - 10x over not that long a period of time. Well, first, it is hard. It takes some hard work, but mostly hard thinking and hard conversations. Second, we must actually believe that serious improvement is possible. Not so easy when we see so much baloney (I was sorely tempted to use a more technical term) happening all the time. Third, we must actually want serious improvement (this is a key place where fun comes in). You must want it in very part of your body, almost. All of them must want it (well, many of them). And then, we must have courage. To fight our own stupidity. To persevere against some hardships and some ups and downs. To fight others' stupidity. And to fight all the slings and arrows and natural shocks that come into a daily lives. And we must focus. Maybe that means working on only one of the 5 areas above at any one time. It is there. Go for it. It is our view that the main problem with doing Scrum is that we don't 'feel the music' while we do the dance. That is to say: we don't understand the values and principles underlying the practices we are doing. My answer: It enables the Team to land the airplane at the end of the Sprint. Put another way, it enables the Team to get enough visibility about 'everything' that is going on, to identify the biggest problem(s), deal with them some, and then complete the Sprint successfully. Meaning all promised 'stories' are completed ('done, done' if you use that phrase). 1. 'We are reporting status to the ScrumMaster.' OK, raise your hands anyone who enjoys reporting 'status' to any manager. Ummm. No hands. Shocking. No, dudes, you are not reporting status to any manager. You are enabling yourselves (the whole team) to be successful. 2. 'No one is talking about anything useful.' Then do the five Whys about the root cause of that. 3. 'People want to hide.' Well, it is natural to hide from pain or expected pain. Virtually 120% of the time, the implementers have been beaten up, harassed or at least disrupted if they told the truth. So, naturally, it takes a long time of not getting punished before they believe they won't be punished any more. Figure out how to deal with that. Talking helps. 5. People arriving late. Umm. Sometimes a difficult one. First, review why you think the Daily Scrum is valuable, its purpose, stuff like that. Does that person agree? If yes, then why is he late? Ah, he has something more important almost every day? Does he really feel he is a team member? And continue on like this. But sometimes it just takes 'tricks'. The 'put a $1 in a jar' one is well known. (The Team takes the money and buys donuts every so often, for example.) Or, try having the late person sing a song after the stand-up. Very effective for many. Or, have the person eat a pickle (in the morning). I have not done this, but I hear that a pickle tastes bad in the AM. Now, if a team member sends in one's answers to another team member before the stand-up, then one is not 'late'. 6. They only answer the 3 questions. The 3 questions are only a help. The Team should talk about the most important stuff in 15 minutes (max) to land the plane. Together. Especially if some Sprints have failed (not gotten all stories done) and poor daily info feels like a root cause, then explore this. 7. Have the Daily Scrum around the Scrum Board. Finally, a positive one. I strongly encourage teams, especially beginning teams, to have the Daily Scrum around the Scrum Board, and to move the cards in the meeting. It is magic. (Lots of studies and theory explain what the magic is, but do you need to go there?) Yes, the works a lot better if the team is collocated. Why do we have a daily Scrum? Well, it's just like Fred Brooks said in The Mythical Man-Month. If we take and address the top impediment each day, we are much more effective as a team. All up-coming courses are posted on LeanAgileTraining.com. And you can see the calendar in the widget to the right. We are excited, for sometimes different reasons, about each of these courses. We have enjoyed the people we have met (so far) in each of these cities. We enjoy working with the co-leaders. And each of these cities, each in its own way, is meaningful to us. And of course, we are always delighted to be talking about, and helping others with, Lean-Agile-Scrum. May 11-14: Ottawa: CSM & Workshop (Sold Out). With Catherine Louis. Jun 8-9: Atlanta: ScrumU: CSM Course. With Kristine Shannon. We have other courses 'in the works' which we will announce shortly. 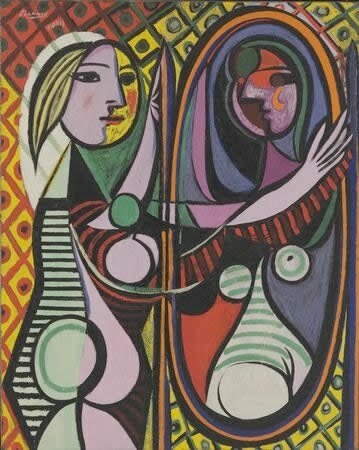 to hold as 'twere the mirror up to nature: to show virtue her feature, scorn her own image, and the very age and body of the time his form and pressure. What is best thing about Scrum? Wow. There are so many good things, hard to choose the best. OK, fine, but what is the hardest thing about Scrum? Well, at first, it seems like figuring out all the practices is often the hardest. All the fine art of doing Scrum. Then, Scrum makes more apparent all the problems we have doing our work. And new product development is always hard. And our organizations, it becomes quickly apparent, are beyond stupid in how they support the team. So, these painful truths are hard. Then there is the relentless pursuit of perfection. It is hard, everyday, to admit that you and the team are not perfect yet, and there are more impediments to remove, more Kaizen to do, more change. Relentless. And hard on the ego. One wants to believe one can plateau out, one has reached perfection, and can mentally rest. Accepting this never-ending road is hard (although, once accepted, more fun). Finally there is the mirror. "Hi. I am Joe. I am a recovering waterfallic." We have to admit that deep in our hearts, Scrum values and principles forever elude us. Yes, we get them some, maybe more on some days than others. But even the best of us want to follow other values and other principles sometimes. Even I (whomever "I" is). I want a silver bullet. I want to tell people how to do it. I want to be seen as the smartest (as though that were relevant to the Team's success). I want to have a contract, not accept that collaborating through change is more valuable. I want to prove that my box/silo, which I can fully control [quite an illusion that one], is successful. Rather than accept that I only influence the success of the team. And that the only meaningful success is team success, really customer success. It is so easy, so normal, to think we 'get it' when we don't. I think it is very hard to see, and hard to accept, that we ourselves are stupid and revert back to 'wrong' ideas. Umm. Very hard. Only simple things can be said. Continually question whether our thoughts and suggestions are consistent with Lean-Agile-Scrum values and principles. Allow others to continually question that. Assume that we are making some errors in this way, and ask ourselves "where are the areas where I am most violating the values and principles of Lean-Agile-Scrum?" Let us struggle with this, with some compassion for ourselves. But with some renewed energy also, to, for example, ask for feedback. PS. And we hope you like the Picasso. Girl before a mirror. Museum of Modern Art, NYC. We say a Product Owner (PO) can have a tremendous impact on the success of a team, of the team's work. Say, double the productivity in 6 months. With the recession, we could use that about now. Sounds nice. How is the PO gonna do that? Take a CSPO course and learn more. For the team's work, a good Product Owner is very important. A decent PO should be able to double the value delivered by the team, just by their own efforts, in 6 months. (This assumes a normal team, as I see them.) This can make the lives of many real people better: customers, the team, managers, shareholders, etc. There are too few of these Certified Scrum Product Owner (CSPO) courses, in my opinion. And too few really good POs. Why our course? Many reasons. What we will say quickly here: we have an MBA and a deep interest in Business Value Engineering. If you wait for perfection, you might wait too long. This applies to all of life. And to Scrum and Agile and Lean. As the guy said to Jack Lemmon in that famous movie, "Nobody's perfect." In fact, not a single thing is perfect. So, my advice is: Don't wait for perfection. Still a big problem out there. Too many people doing it. I usually don't do it more than 3 times per day. One of the biggest business problems we have. But aside from velocity, does the CSM course provide other values? So, what might they be? I would be very interested to hear how you would put this (or these). X has already mentioned that it bring a common terminology. This is very helpful. In many ways, and to many different people. People work less in isolation. I think this is a big improvement. It is a more humane way of working, in this way. Less lonely. Teams are held accountable for something important, rather than an individual being held accountable for something fairly unimportant and outside his/her control. This is, in general, a big improvement. There are issues, and there are ways that Scrum still holds (appropriately, I think) individuals accountable, so this needs further discussion, but in general, a clear improvement. More fun. Scrum says that the team must be having fun (well, mostly fun) or its not being done right. And, if it is done with "right" limits, it is always more fun (or so I have found). To me, this is a value on its own. More focus on impediments. The PMI folks might argue that we always were working impediments, and of course in some sense this is true. But Scrum brings a lot more rigor and effective action and focus on the top impediment, one at a time. Everyone can contribute, the team can identify and prioritize them and devise a plan to remove each one. Even if we don't measure velocity, this is a big value add in many ways (eg, more satisfying and less painful way to work). So, that's a start. Hardly a complete list of the value. But a start. You could say that these start to explain how Scrum "magically" leads to greater velocity and a higher delivery of Business Value. I wanted to reiterate views I have expressed elsewhere, I think. From a Business Value viewpoint, the goal of the Scrum course is to significantly increase the productivity of each team. So, let's assume the whole team comes to the Scrum course. And some related managers. Let's assume the team can double their productivity (their velocity) within one year. Let's assume in years 2 and 3, they continue to improve. So, saying we go from a NPV of $3 million per year to $6 million per year is not a stretch. Now, get out your spreadsheet and calculate the value for yourself, with your own assumptions. See XLS file here. Let me add that there are many other benefits, but let's ignore those for now. By the way, a decent team (not a great team) in Jeff Sutherland's opinion should be able to double velocity in 6 months. Many do in 6 weeks. And some companies are seeing an improvement of 5x-8x for every team and it happens quickly. The purpose of the course is not to convey explicit knowledge, although that happens. The key purpose is to get the people willing, wanting, and waiting to change. "It's the Tacit Knowledge, stupid." (To play with a political quote from the past century.) Without this change, which always happens somewhere else than the brain, no worthy improvement will take place. The team must be having fun. I won't explain that more here. The team must be working reasonable hours (40 or less in total). Thus, the way to velocity improvement is by impediment removal. And thus, managers must be removing some impediments (and letting the team self-organize) or the full amount of improvement won't happen. Now, our challenge to you. Have you achieved a measurable and believable increase in your own baseline velocity? How much? You owe it to yourself, your teammates, your company, your customers, and right now to the world economy, to get your team going. You can do it. If you feel you can't change your organization, first, don't believe yourself. "The culture" can resist one or two people. It cannot resist a fired up group that is right. Still, if you can't change your organization, then you must change your organization. And then double there. You will be proud of yourself when you do it. You know you can. We know you can; we cheer you on. Doubling is not enough, but like 12 lawyers at the bottom of the ocean, it's a good start. In March I did a short workshop on Business Value Engineering at ScrumGathering in Orlando. Very interesting to me, although it was mainly about the work that the attendees did. As I commented to them, it certainly was not about what I said. It was not even about what they learned in the session. It is about what they will do. Later. What did I learn? Well, there is always so much more to learn about this subject. One thing that became obvious to me is the importance of BV communication. One of the main reasons to do Business Value Engineering is so that "everyone" can talk about it. So, it needs to be a set of words and ideas that everyone finds interesting, fairly simple, and compelling. Everyone starts to talk the same language. I find this currently very rarely. Just to talk about it enough so that the basics feel, well, basic and well-understood. I guess it is useful now to talk about the larger purposes of communication, at least in this context. And of course we can have other groups of people also. Now, let's restrict this further for now, and say we want a common understanding for this effort (say, next 2-3 releases for a given product) of what Business Value means (and, implicitly, how we will measure it). So, what are the benefits of communication in this restricted context? Do any of these need further explanation? Aren't all of these fairly obviously compelling? To clarify the bullet point about metrics, let me use words that my 6Sigma friends like to use. They say it is fine to have a general definition of a metrics, but then one must have also an 'operational' definition that allows one to actually measure. Some people need the wordy definition, some people do better seeing exactly how you will measure it. These are some benefits; no doubt others to add and better ways to express them.